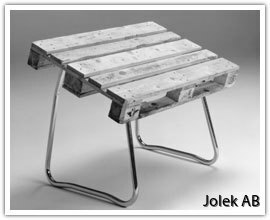 The tilting pallet is mounted on a pallet and in a few seconds you have a stable table. 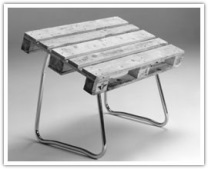 Tilting pallet legs can be used for half and half pallets. In conjunction with the tilting pallet and the EUR-pallet, you can use our thread edge advantageously. You can quickly and easily replace boxes, slopes and the like.